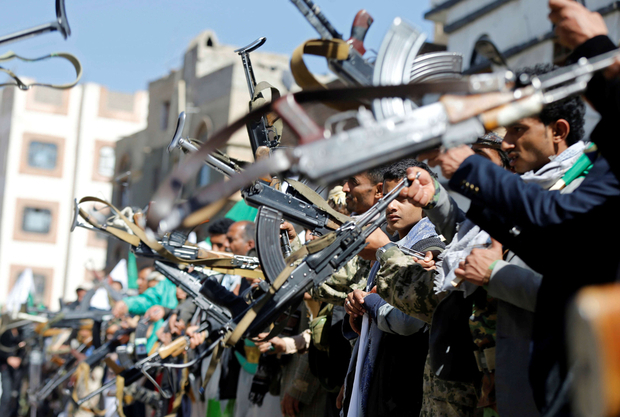 President Mansour Hadi Monday called on forces aligned with former President Ali Abdallah Saleh to join his troops to forge alliance in order to ouster Houthi rebels, who killed Saleh. “Yemen is passing through a decisive turning point that needs our unity and steadfastness in the face of these sectarian militias,” Hadi said in a speech on the Yemeni state television hours after the killing of Ali Abdullah Saleh. Hadi is currently in Saudi Arabia where he has been living along with his top commanders after losing capital Sana’a and large parts of the country to the Houthi rebels in 2015. The rebels Monday killed their former ally Saleh outside capital Sana’a after waylaying his convoy as he tried to flee the capital two days after breaking with rebels and inching towards the Saudi Arabia-led coalition. The rebels stopped his convoy at 40 km from the capital and fired his group, killing him, along with the secretary of his General People’s Congress party, Arif Al-Zouka. His son, Ahmed Ali Saleh reportedly called for revenge from the United Arab Emirates (UAE) where he has been under house arrest. “I will lead the battle until the last Houthi is thrown out of Yemen … the blood of my father will be hell ringing in the ears of Iran,” he was quoted as saying. Saleh who ruled Yemen for more than three decades was forced to step down in 2012 and replaced by his deputy Hadi. The former President known for switching sides later joined the Houthis to remove Hadi who received the support of the Saudi-led coalition, which launched international forces in 2015 to roll back the rebels advance. The alliance between Saleh and the rebels broke off over the weekend after the former President joined the Saudi-led coalition fighting the rebels. Heavy fights broke out following his defection. The rebel paraded with his body to celebrate his killing.